Perth is the fourth most populous city in Australia and is the capital of the state of Western Australia. The city is pretty fam-ous for its vibrant and diverse culture and has a number of sightseeing destinations on offer. Here are some things that you must check out while you are in Perth. Located just 19 kilometers from the main city, the Rottnest island is a peaceful destination that offers you a getaway from the cars and buses that clog up the city roads. The Rottnest island is a car-free zone and the only way to commute is to use the bicycles that are available for hire just near the fery terminals. While on this island, check out the beautiful coral reefs and enjoy some snorkelling and surfing. If you are lucky, you could also spot some wild quokka – the native mini-marsupials. Spread over 400 hectares in the heart of the city, the Kings Park is one of the world’s largest inner-city parks. This is a great place to picnic or have a barbecue evening with friends. While you are here, also check out the State War Memorial and the State Botanical Garden. Kings Park is pretty easily accessible. Either hop on to one of the free CAT buses, or hire one of the several private car rentals in Perth. Perth is famous for its vineyards and Swan valley is the best place to see and taste some of the best wine in the country. The Swan valley and Darling Range are located just 20 minutes to the east of Perth and can be reached either on road or via a cruise along the Swan river. The place is also home to a number of historic pubs and cottages where you could taste the local cheese, olives and chocolate preserves. 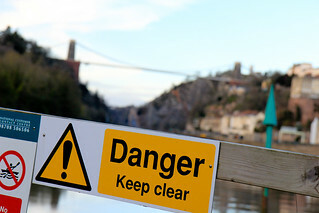 If you are game for some adventure, look no further beyond the Avon valley. This is home to one of the most exciting white water rapids in Australia. For novices, canoeing tours are a great draw as well. Unfortunately, the excitement of the waters are usually only during the winter season. In summers, the avon valley is home to chirping birds that makes the Avon valley national park famous. The Avon valley may be reached in just an hour from Perth. Do check out the hot air balloon trips that are available from Northam. The beaches in Perth are among the most beautiful in the country. One of the beaches that is popular among people of all age groups is the Cottesloe beach. If you have never tried snorkeling or surfing before, this is the place to try it out. 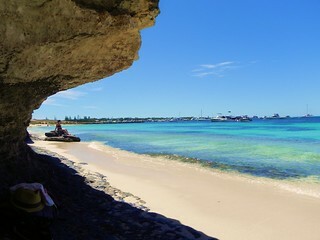 Besides Cottesloe, Perth also has a number of other beautiful beaches like the Scarborough beach and the Floreat beach. For the advanced surfers, the shifting sand banks of Trigg is a popular place to explore. Besides these, there are also a number of other interesting places to visit in Perth that includes Fremantle, the Perth Zoo, Penguin Island and the Heirisson island. Depending on the number of days available for you to spend in Perth, plan a trip to all of these exciting places that this city of 1.9 million has to offer.